How did that happen? 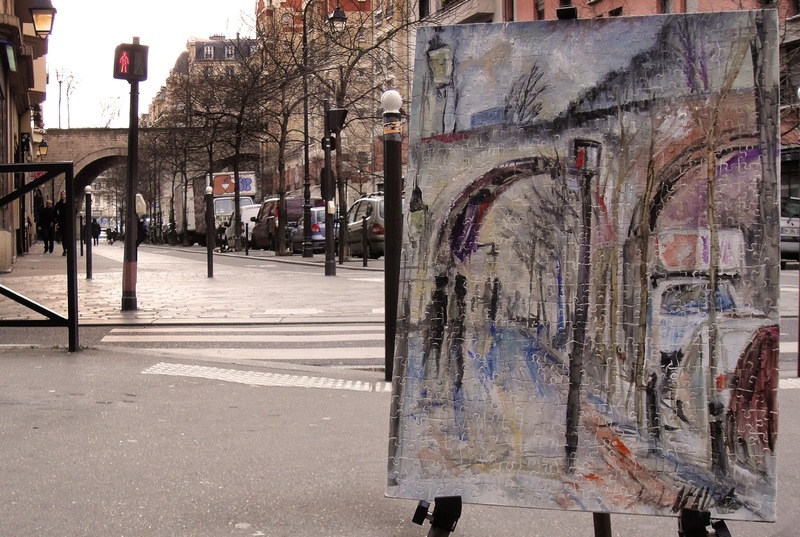 It's been unseasonably cold in Paris this year, and a little bit difficult to paint outside. But recently we have finally seen signs of the winter giving way, and the sunny days have cast a lovely light back into our beautiful city. So the other day I found myself on the rue de Charenton, where the rue de Prague turns into the rue Abel. And I also had with me this old jigsaw puzzle that I had picked up in the street. So I decided to sit down and take advantage of the pleasant light, the survivable temperatures, and this view of the Coulee Verte, to paint my 21st Lost Art. Then I brought the painting home to dry for a few days, and when I noticed that today was also looking sunny and pleasant, I went back out to leave it where it was painted. I hope that somebody else on an early-spring stroll picks it up and takes it home! 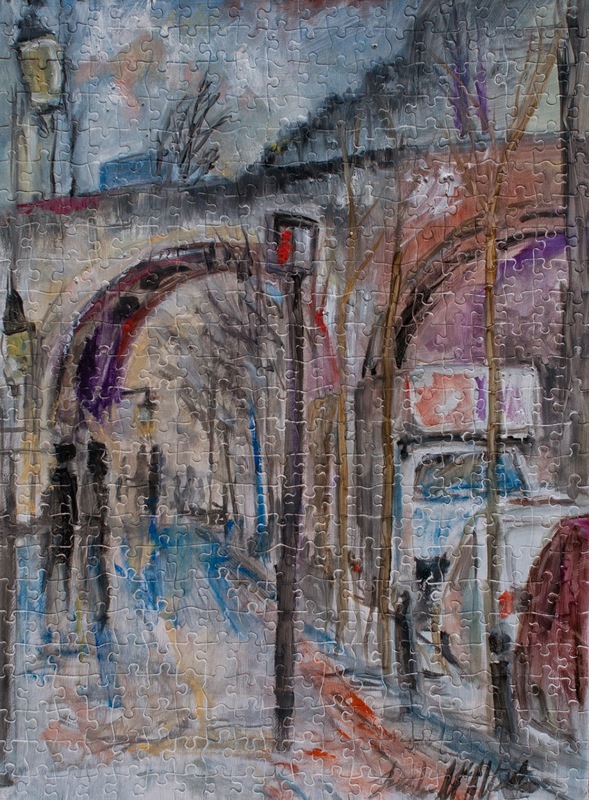 This painting, oil on found jigsaw puzzle, 36.5 cm x 49.5 cm, was left on the rue de Charenton, near the intersection of rue Abel, in the 12th arrondissement of Paris on March 2, 2015 at 12:00pm.